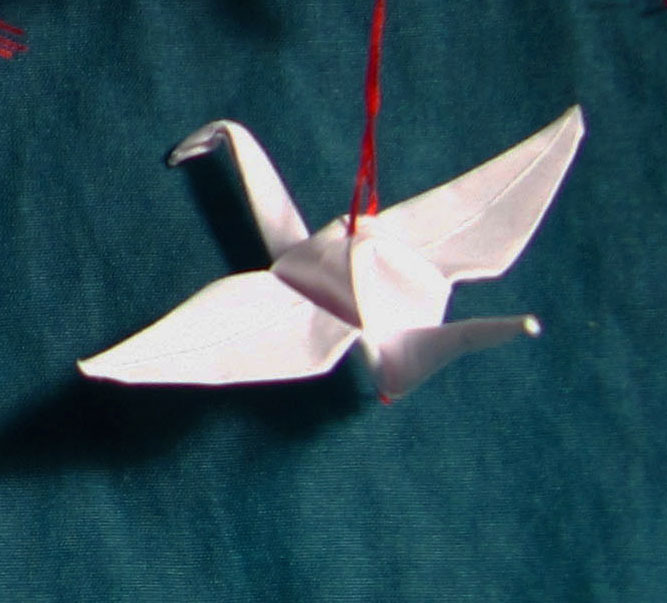 Cranes are a symbol of longevity, immortality, prosperity and good health. It is a Japanese tradition to fold a thousand origami cranes for someone who is sick to wish them a long life, prosperity and good health. After the atomic bomb was dropped on Nagasaki, a girl who was dying of radiation poisoning began folding a thousand cranes. 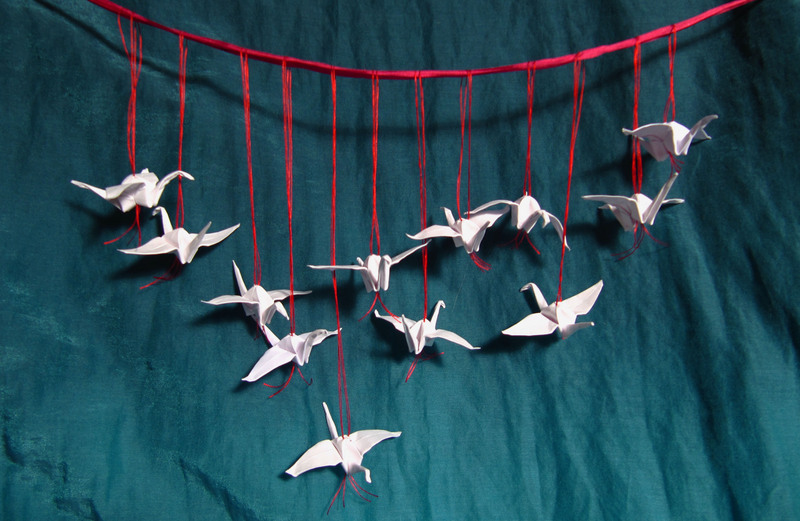 These cranes were buried with her and as a result of her actions, folding a thousand cranes also became a symbol for peace. As time went on, white birds began turning up in one way or another almost daily. Also, the form of qigong that I am learning is called Soaring Crane. It is a medical form of qigong that focuses on accessing the healing Qi within oneself (Remember? The body heals itself.). The first routine very much mimics the movements of a (white) red-crowned crane in flight. I have no choice but to honor this imagery in my art. May these tiny, white, origami healers with their inch-and-a-half wingspan carry you to health, happiness and a spirit that soars. This entry was posted in Art, Health and tagged art, origami, paper, photo, Qigong, Uterus, wind. Bookmark the permalink. I love your flock of cranes, Rebecca. I hope when the weather warms you will place them where the breeze from an open window can move them. I would like to see a video of that.